Yesterday, Elton John announced two new cover albums of his songs, called Revamp and Restoration. Curated by John and his longtime writing partner Bernie Taupin, the collection includes 23 songs in total, and some of the artist/song pairings seem pretty wild. One of the most crazy collaboration covers comes as a version of John’s 1976 smash-hit duet with Kiki Dee, now covered by Q-Tip and Demi Lovato. The song comes off much better than one might expect, with a steamier, groovier feel than the original. 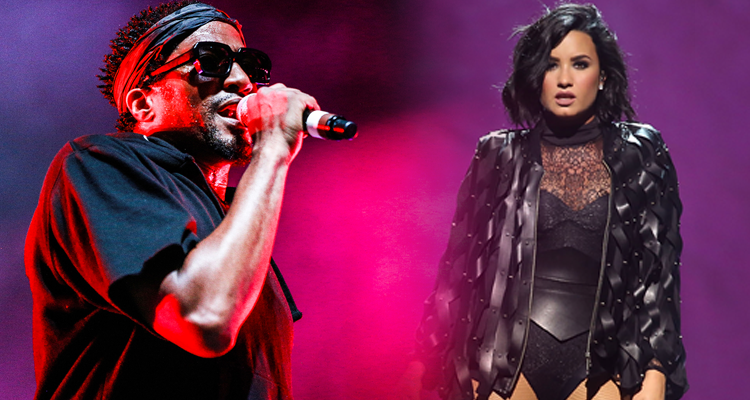 Q-Tip sticks to singing, and he and Lovato take turns with the melody and rhythms, making it better than a crappy re-hash of a classic. Of the collaboration, Tip said in a press statement: “Elton’s influence shows you that the possibilities of music are endless…being a hip-hop kid, our whole aesthetic was that everything was up for grabs and that’s how he has always been to me. Watch the video for the remake of “Don’t Go Breaking My Heart” below.